Gundam Seed/Seed Destiny HD Remaster: Is it Worth the Watch? It’s been awhile since I last wrote an anime post. I have my reasons, besides story writing, I have been working longer hours to save cash for my Hong Kong trip in October, so yeah, posts will be rather sporadic. BUT AT LEAST I’M WRITING SOMETHING TODAY! So I did a rewatch of this show recently, yeah, watched it for like 15 times already, but it really shows that the Cosmic Era is my favourite timeline. Should have written this post way earlier but didn’t. To commemorate CE’s 10th anniversary (back in 2012), they decided to do a HD Remaster of Seed, and Seed Destiny HD Remaster came a year later. So what’s the actual difference between the original and HD refresh? There is a lot actually. The most noticeable difference is the transition from the 4:3 to the more modern 16:9 format and also in 1080p. Many keyframes were completely redone or at least edited. The complete comparison is in this link. The most notable change in graphics is probably the Phase Shift sequence which look pretty botched back in 2002. Many of the combat scenes were redone. Nicol’s death scene is also updated. Freedom’s Full Burst mode is also updated, and it looks extremely stunning. Colors were also updated to increase vibrancy. Character designs were all updated to Seed Destiny’s design with a fresh coat of paint, to keep things consistent. 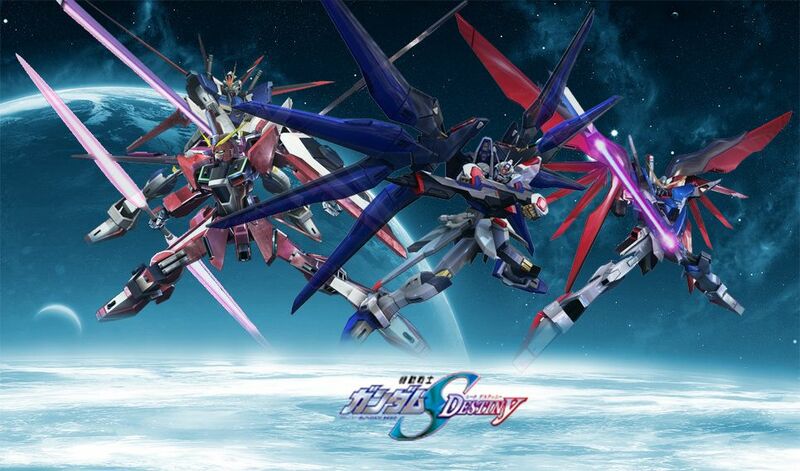 It’s great on the Gundam Seed side, but I wouldn’t say the same for Seed Destiny. Because the gap between Seed HD and Destiny HD was only a year, Seed Destiny didn’t really bring much updated stuff. Besides the 16:9 wide format, more updated text, there isn’t really much to report here. Combat scenes felt pretty identical to the original. But they added a whole new Ootori pack for Strike Rouge. But with that updated Strike Rouge, most of the combat scenes involving that Gundam had to be redone, notably when Kira used it to get his Strike Freedom in the Eternal. 16:9 made the Impulse VS Freedom scene more immersive especially the final stab scene, it looks great. Freedom’s updated Full Burst Mode was brought over, but Strike Freedom’s Full Burst Mode DID NOT get a refresh, disappointing me the most. I would say they probably didn’t had much time and budget with that 1 year timeframe to update Seed Destiny since a lot of effort was done on Seed. How did they manage to make that squarish picture go 16:9? Digital animations makes remasters like these pretty easy. They probably just draw the remaining sides that were omitted during the 4:3 era. Redone scenes were all rendered in 16:9 and then integrated into the original remastered footage. Since Sunrise never used 3DCGI for their mechas, it takes a whole longer time as they have to draw movement of the mechas frame-by-frame. They probably didn’t do much work towards Seed Destiny since they have a tight schedule. OST is retained, but many FictionJunction Yuuka songs were recomposed. Lacus Clyne insert songs gets the same treatment too. Most of the songs that were redone added a violin track into the song. But the most extensive recomposition is the inserts sang by Lacus. It’s pretty soothing, I can play those as lullaby. Overall, is it worth the rewatch? I would say, it’s a 50/50. That’s it from me today. I will be writing a new chapter today so it will be out in a couple of hours. Tomorrow or Thursday will be another Gundam post, so see you guys then! Meanwhile, if you arenew and enjoy reading my content, follow this blog, Twitter and Twitch! I do gaming livestreams too. I have 2 Twitter accounts by the way, but it’s up to you if you want to follow both.